This period of Remembrance is an important one for our school. We focus in particular on those members of our school community past and present who have lost loved ones as a result of war. Our school Service of Remembrance, held in Christ Church on 11th November, marks this important occasion through prayers, readings and reflections led by our Year 6 children. Other activities in the community also mark this occasion. 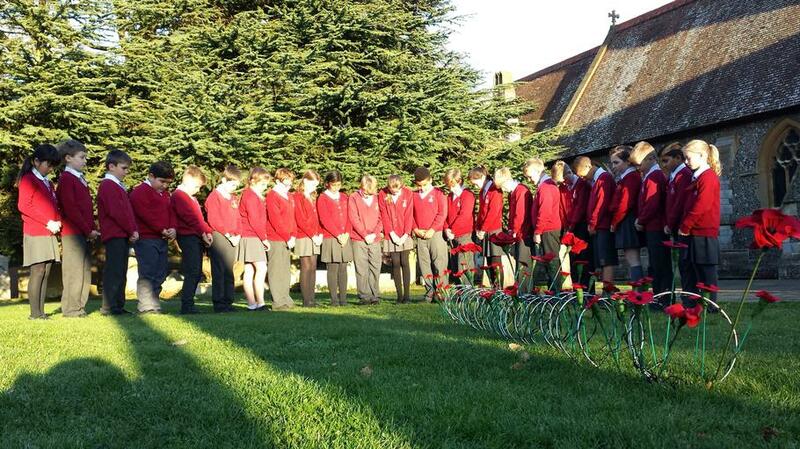 The Year 6 class produce a poppy display each year - displayed in the church yard for all to see. This year's theme is 'Hope Caught Up' and features poppies entangled in barbed wire.